When I'm hiking, biking or Nordic skiing long distances, I tote snacks that are not only healthy but also something I look forward to enjoying on the trail. My latest love is Joe Chocolates, which I carried on my recent hiking trip in Galicia, Spain where I hiked nine to 10 miles a day for more than a week. 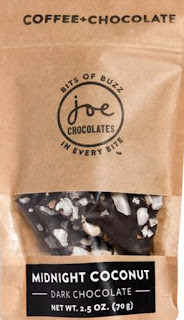 These chocolates are unusual in several ways. 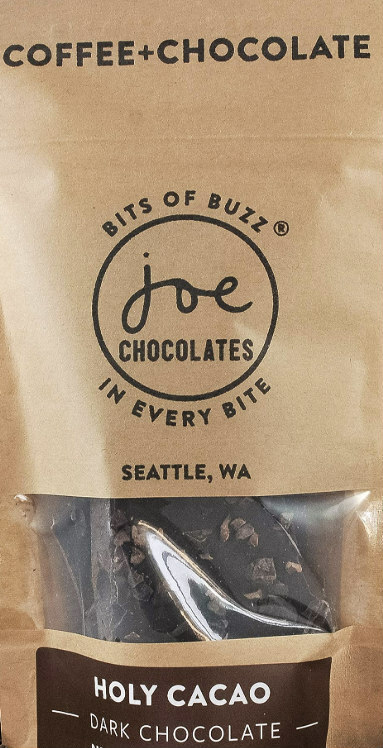 They're simply packaged, produced in the state of Washington with simple ingredients, such as cacao nibs, dark chocolate and organic coconut, depending on the flavors chosen. 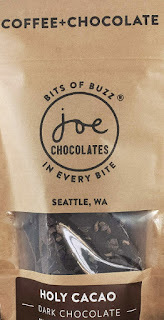 But, most importantly, these are coffee-infused chocolates, something that not only provides approximately 90 mg of caffeine per one ounce portion but produces a sophisticated flavor profile that I looked forward to as I traveled along the undulating terrain day after day.